It can be challenging to put your life back together again after a hurricane, flood, earthquake, wildfire or other disasters. Family members often struggle to piece together financial and legal affairs when a family member dies unexpectedly. The experts agree that it is important to organize your critical documents and family keepsakes in a way that makes them quickly accessible and still keeps them secure. What is the best way to organize and protect critical documents in case of emergency? The best way to organize original documents is in a special binder that has been uniquely designed for that purpose and with an electronic copy of the scanned documents on a password protected encrypted flash drive. This can help minimize this daunting task of putting your life back together after a disaster. The benefits of having all of your personal documents organized and ready to take at a moment’s notice is worth the time it takes to create. Not to mention how convenient it is to have all of your documents organized in one place whenever you need them. Create a file that contains original copies of all the vital records and important documents that you may need. The size and shape of the file will vary depending on the amount and type of documentation you have. You will need to decide which of the above criteria is most important in meeting your needs. My favorite inexpensive choice is a high-quality school binder that zips all the way around and has a shoulder strap. I can add all kinds of storage in addition to the folders and compartments that are standard. You can use binder pencil pouches to organize keys, jump drives, or external hard drives to keep them secure and make sure they don’t accidentally fall out. Sheet protectors help to preserve the documents and facilitate organization. Anyone pilfering through my things would never suspect that an innocent-looking unmarked school binder contained all my vital documents and account numbers. It also contains electronic backups for family photos and business records. You may want to consider inexpensive zip binders similar to these. A fireproof and water resistant document bag may be a great way to organize these documents. You can place a couple of ½” or 1” binders inside. Perhaps one with vital documents and one with financial records. It has plenty of room to store digital storage devices, keys, and other small important items. A locking briefcase or portable storage chest may also work to store your files and yet will still be portable. It is possible to keep all of the information digitally, and that may work for many scenarios but not all. Sometimes an original birth certificate or passport is required. Another thing to consider is the availability of both the computer and power to read the electronic copies. Paper copies are a good way to ensure you have the document without a working computer or digital device to access the information. The contents of this binder contain everything that someone may need to steal your identity. Protect it! The best place to keep your critical document binder is in a fireproof and waterproof safe. If this is not an option, be sure to keep it well-disguised to make it less inviting to thieves or snoopy neighbors and relatives. One of the best ways to protect this binder is to make it look unimportant. If you write anything like “critical documents” or “emergency information” it is a sure sign to snoopy visitors or anyone breaking into your home that there is highly valuable information inside. You may want to label it “Grandma’s Recipes” or “Report Cards” or “2019 Family Photos” or don’t label it at all to provide a little added operational security. Keep this information in a safe place to prevent it from falling into the wrong hands. The best place to store your critical document binder is in a water and fireproof safe. According to the American Red Cross, the number one disaster they respond to is a house fire. It would make sense to protect this information from being destroyed in a fire. 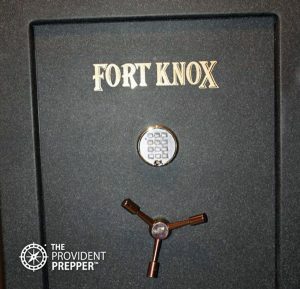 A quality water and fireproof safe is a good investment and comes in handy for protecting and securing valuables. It will frustrate looters and thieves while protecting the most important possessions that you were not able to take with you when you evacuated. It is always a good idea to have a back-up plan. Consider the following options to back up your critical documents. You may want to create a copy of the most critical documents and keep them in a secure location away from your home in case your home is destroyed. Place the copies in a securely locked or sealed container and store them at a trusted friend or relative’s home. You may need to get a bit creative considering the sensitive nature of the documents. When you scan documents and digitize photos and videos, you create a digital archive that you can rely on in the event that hard copies are damaged or ruined. Backing up your archive to a cloud service allows you to access photos and documents with a personal account even if your device is stolen, lost, or damaged. This is a great option for backing up photos and videos but you may want to think twice before uploading your sensitive documents to the cloud. It is a good idea to scan documents and digitize photos and videos in the event that your original copies are damaged or ruined. That being said, you need to be very careful to protect that data. Our goal is to mitigate the possible consequences of unforeseen events or disasters. We do not want to create additional opportunities for thieves to steal our precious personal information. The security of these documents should be a high priority. According to Joshua at pentaROOT Information Security, there are 3 main options for storing copies of sensitive data with electronic technology. Each of these electronic data storage methods has advantages and disadvantages. The cloud is a part of the internet. While the cloud may seem like it’s just part of space on the internet, if you trace it back to its origin, the data you put in the cloud is stored locally on someone’s device somewhere (i.e cloud storage on Dropbox is actually part of the physical servers at Dropbox, the customer just has web access to use it and are only granted access to their storage). Advantages: Access information from anywhere, ease of use, cloud storage companies typically back up the data so you do not need to. Disadvantages: The cloud is widely available to hackers as all that is required is internet access. Your personal account can be hacked, but if the company gets hacked, all of your information is included. Hackers target the “cloud”! Sensitive data is not safe on the cloud. Documents can be scanned and saved in a folder on your personal computer. This is saved locally on your device, meaning on one of the hard drives contained in your laptop, desktop, phone, or whatever it is. Advantages: Not available via the internet (in most cases, depends on your configuration), easily accessible to you but not to many others. Disadvantages: There is no backup to your hard drive (again, in most cases depending on your configuration), if the hard drive fails, you lose it all. Not portable, you must have physical access to your computer as well as electricity to access the information. Documents may be backed up to a removable drive such as an external hard drive or USB flash drive. Advantages: Only available to you (obviously if someone has hacked your computer and you plug it into that computer, they’ll have it too). Highly portable. Disadvantages: Can be difficult to keep track of due to small size. Typically no backup is in place. If the drive fails, you lose it all. Keep important data in multiple places. It is a good idea to have your main source of data storage on your computer and create a flash drive for backup. Avoid storing critical personal documents with sensitive information on them on the cloud. Encryption is the number one defense when it comes to protecting electronic data. Even if someone takes your flash drive or your computer, they would have to break the encryption before gaining access to the information. Depending on the encryption used, it CAN be near impossible to hack into it. The more authentication factors you have (password, code texted to you, authenticator app, fingerprint, etc. ), the more secure it will be. This DOES NOT mean it cannot be hacked. There is no such thing as unhackable anything. The most secure way to keep sensitive electronic documents is on a password and biometric protected, encrypted flash drive in a fire and waterproof biometric lock box in your home. It may be a bit overkill, but that is the best protection against hackers. If you lose that flash drive during a disaster you don’t want to put your personal information at risk. Joshua recommends the following products as a few good options for safely backing up critical electronic documents for your family emergency document binder. Each of these flash drives has pros and cons, nothing is perfect. There are a bunch of others. Sandisk makes good products but does not have biometric ones yet. Organize all of your important documents into one place. This may be a simple task or highly complex depending on your stage of life and personal assets. The goal is to have all important information quickly accessible and portable in an emergency or in the event of serious illness or death. The following is a list of documents and other items you may want to consider including in your critical document file. When appropriate, always include the original document. Make copies of items such as your driver’s license and other documents that you carry with you. Personal Documentation – Degrees, professional licenses, driver’s license, passport, birth certificate, marriage certificate, concealed carry permit, social security card, military documents, amateur radio license, naturalization/immigration documents, voter’s registration card, church records, etc. Medical Information – Advanced Care Directives, immunization records, critical medical records, list of current medications and pharmacy, copies of both front and back of insurance cards (medical, dental and pharmacy). Insurance Policies – Life, health, property, auto, and homeowner’s policies including contact information and policy numbers. Property Documents – Property deeds, loan documents, automobile titles, loan information, etc. Legal – Contracts, adoption records, custody records, divorce papers, last will and testament, living will, living trust or family trust documents, power of attorney, rent or lease agreement, contact information for the attorney, etc. Financial – Savings bonds, stocks, and bonds, statements from investment firms, banking information, credit card numbers (website, account information and passwords), retirement/pension statements, etc. Contact Information – It is important to include written contact information for each member of your family, close relatives, and friends. Don’t forget to include numbers for your clergy, kid’s school and daycare providers, and employer. Include contact information for all companies and individuals that you do business with (insurance agent, utility providers, banks, creditors, attorney, physicians, pharmacy, etc.). Include non-emergency numbers for local police, fire and emergency services. 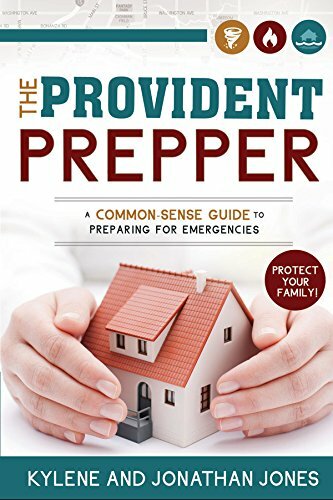 Family Emergency Plan – This is a great place to include a written copy of your family emergency plan and marked maps with alternative routes to your bug out destination. Pet Information – Pet license information along with vaccination record and veterinary contact numbers. Keys – Make copies of every key that you may need. Ideas include safety deposit box, safe, bug out location, vacation retreats, vehicles, storage units, etc. Recent Photos – Include a recent photo of each family member and pets. In the event that you get separated from your loved one, a recent photo may help in locating him or her. Photos are sometimes placed on missing person bulletin boards to help locate missing family members after large disasters. They are also helpful in identifying the deceased. List of Firearms – Include a list of all firearms and be sure to include the serial numbers. Password List – You will need a list of all of your critical passwords to gain access to your online life. You need to decide exactly how you want to handle storing passwords to prevent passwords from being compromised. There are good password managers available if you want to go that route. A written list could include coded passwords. Include lock combinations that you may need. Family Keepsakes – Make a digital copy of meaningful family photos (wedding photos, baby pictures, special events) and other family memories that would be impossible to replace. Store them on a good quality flash drive with your documents. Video Insurance Inventory – Create a video inventory of all of your possessions for insurance purposes. Do a video walkthrough of your home, garage and entire property. Be sure to capture brand names and serial numbers. Describe possessions while you are making the recording. Include anything of value such as; art, jewelry, collections, firearms, etc. Remember to document inside cupboards, closets, and drawers. If you are unable to prove what you have, the insurance company may not pay. Store this video on a labeled flash drive with your documents. Update it every annually or when you purchase an expensive item. External Hard Drive Computer Backup – It is easy to store an amazing amount of information on one external hard drive. Make it a habit to make a special backup of your computer every 6 months or so and tuck it in with these documents. It would be ideal to do this more frequently but it may not be practical. You should always be backing up your personal computer. This is just a bonus backup that you can make to be sure you don’t lose your important computer files. You may find other documents that would be helpful to have in this collection, or you may not need to include all of the ideas above. The purpose is to enable you to have all your important documents and keepsakes organized in one place in the event your house is completely destroyed. Having these documents readily available will make it much easier to put the pieces back together again quickly and completely. If you need a little hand-holding when it comes to gathering your documents, you may want to purchase Essential Document Grab ‘N Go Organizer by Mary Rowbury. The book contains fill-in-the-blank forms to make sure you don’t miss anything important. Start by purchasing a binder/container to keep all of the documents. A water and fireproof document case is a great choice. Next, gather all of your critical documents. Make copies when appropriate. Once you have completed organizing the binder, scan each of the documents to a password-protected encrypted flash drive. You may want to create a couple of these. Store one at a trusted friend or relative’s home away from your home as a safe backup. You may want to keep duplicates somewhere that it makes sense in your world. Keep this file updated regularly as you acquire new documents or make changes that should be noted in this binder. Take a few minutes at least once a year to review the information and update digital copies. This is going to take a chunk of time and a few resources but it will be worth it. Your life will be significantly more organized and you will not waste time hunting for vital documents because you will know exactly where they are. If you are forced to evacuate, you will have everything you need within seconds. Planning ahead makes sense.